Brendan Clarke, Ger O'Brien (Aaron Greene 21), Ian Bermingham, Conan Byrne, Keith Fahey, Christy Fagan, James Chambers, Kenny Browne, Chris Forrester, Sean Hoare, Conor McCormack. 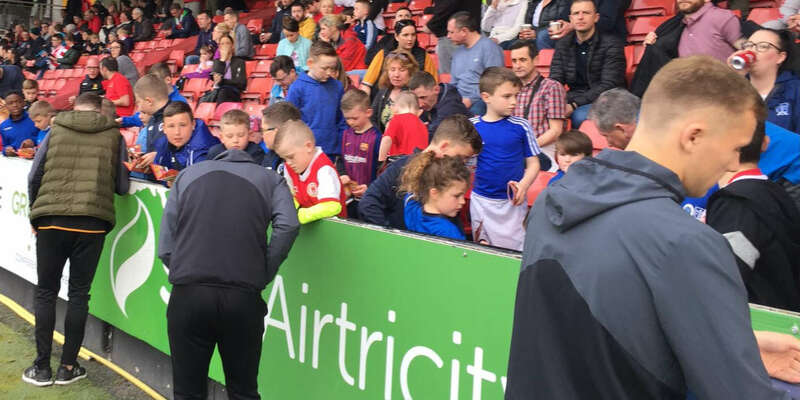 Barry Murphy, Simon Madden, Connor Kenna, Jason McGuinness, David O'Connor, Patrick Cregg, Stephen McPhail, Ronan Finn (Ciaran Kilduff 75), Gary McCabe (Ryan Brennan 62), Karl Sheppard, Kieran Marty Waters (Sean O'Connor 45). 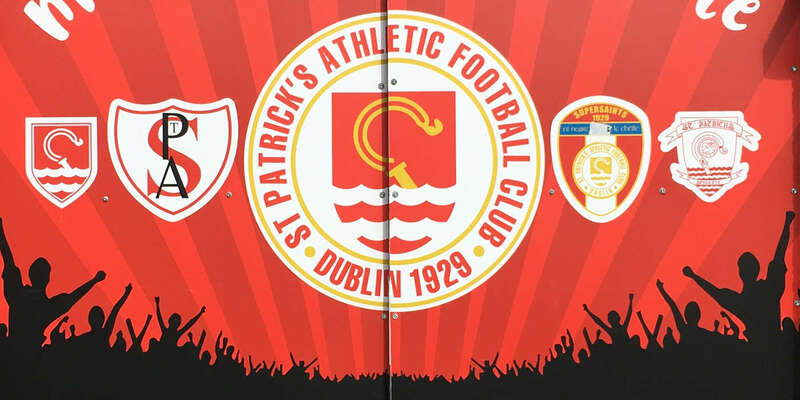 St Patrick's Athletic all but confirmed qualification for next season's Europa League after a 1-1 draw with Shamrock Rovers in the SSE Airtricity League at Richmond Park. Keith Fahey dragged two efforts wide in the first half. Pat's got what they deserved on the hour mark as Conan Byrne fired to the net after Aaron Greene's headed pass. But it should have been more with Christy Fagan, Chris Forrester (twice) and Byrne all having chances. The opening goal of the game came inside four minutes. Ger O'Brien tried to cushion-header back to Clarke but McCabe nipped in to toe-poke past Clarke. Pat's defender Sean Hoare failed to get a head on Madden's cross and the ball bounced in front of O'Brien before his disastrous header backward. It wasn't the best opening for O'Brien, whose loose pass saw Rovers counter quickly on 12 minutes but Ronan Finn fired wide of Clarke's post. O'Brien was then replaced due to injury by Aaron Greene on 21 minutes. But Pat's had their moments, with Fahey dragging his effort wide after Conor Kenna was caught in possession by Fagan. Kenna then kept Rovers ahead, first blocking from Fagan on 24 minutes and moments later cutting out Forrester's cross. An interception for Pat's then set up their best chance of the half, Fahey dragging his effort left and wide. It was all Pat's, who then saw Forrester fire straight at Rovers' keeper Barry Murphy. Rovers responded with the ever-lively Waters blazing wide. Fahey had an effort at the end which hit Byrne's back as Rovers were fortunate to go in 0-1 ahead at the break. Pat's started the second-half where they left off in the first. Birmingham used his pace to run at the Rovers defence but the visitors' back line held firm. James Chambers saw yellow for a deliberate handball and Fagan should have done better with Fahey on his shoulder before running into trouble on the edge of the area. The signs were there for Pat Fenlon's side as Birmingham continued to threaten down the left. His cross to Byrne saw the winger fail to make sufficient contact and the ball trickled wide of the far corner. Birmingham then saw yellow for a late tackle on Madden before Pat's drew level on the hour mark. Fahey supplied the cross which Greene met at the back post. He headed across goal where Byrne rifled to the roof of the net. Nothing more than Pats deserved. McCabe got booked before more intricate Pats play saw Fagan fire wide after Fahey put Birmingham free down the left. Byrne then blazed over as he latched onto a long ball with just over 20 minutes remaining. Cregg and Fahey went into the book in quick succession with a foul on each other before Rovers had chances to win the game. Jason McGuinness saw an effort from six yards deflect over the crossbar. Second-half replacement Sean O'Connor then fired at Clarke before McGuinness headed against the bar as he challenged Clarke. 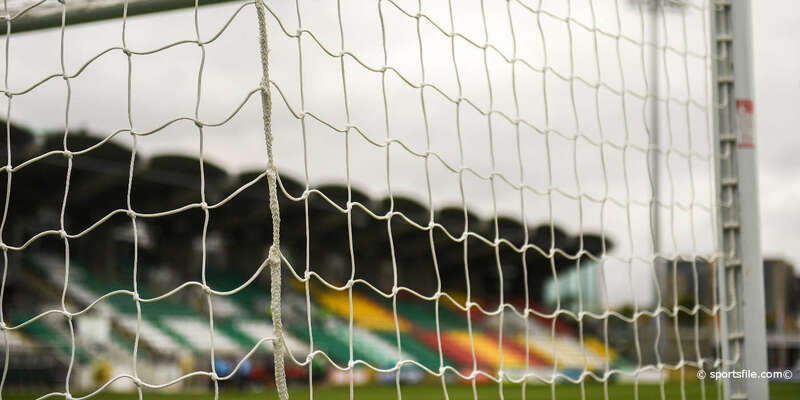 Sean Hoare and Ciaran Kilduff were booked late on before Pat's should have sealed victory. Forrester had Birmingham and Fagan either side of him before he tamely fired at Murphy. At the other end, Clarke did well to deny Kilduff who found himself in acres of space at the back post but his thunderous effort was parried by Clarke and Pat's cleared. The point sees Pats seven points clear of their rivals with four games remaining.